Nursing tops are a must have at the moment in my wardrobe so I spent this past weekend working on making some Martha tops. This is a pattern by Milchmonster that is written in German, and since I speak zero German, there was quite a learning curve for me. The files in the pattern contained an English translation, but the translation was obviously done by a non-English speaker and had zero illustrations. I am a very visual learner so I did better using the German instructions that had illustrations and using Google translator when I needed help with a word. Once I made one, though, they became quite addicting. If I had more time, I think a huge part of my stretchy fabric stash would have become Martha's last weekend. The pattern comes with so many more options than I had time to make, but I think my next one will be a short sleeve (or maybe the short puffy sleeves?) version without the pockets for our hot summers. My first Martha top was made with a cotton lycra floral that I got from someone who was destashing some of her fabric in a local Facebook group - DFW sewing. I made this one with the nursing bodice included in the pattern and for the overlay I used the bodice piece that includes under bust darts. The bra I am wearing is my all time favorite nursing bra, made by Le Mystere. I love that this bra comes in large cup sizes for the smaller band sizes. Underneath my bra, I am wearing the best nursing pads. They are great for keeping my shirt dry! I leak a lot, and if I just think of nursing a baby, my milk may let down, which is not so great when out in public. Thank God for nursing pads. 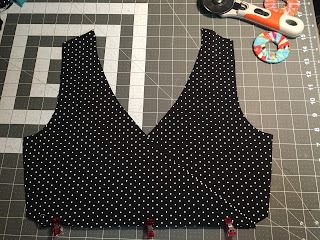 My next top was made with a half yard scrap that I got in a sale box from Simplifi Fabric. They are my favorite place to find organic fabric. You can shop their Canadian website, here, or their US website, here. I just love that I can make good use of scraps with this pattern, and I think that may be another reason it is so addicting! 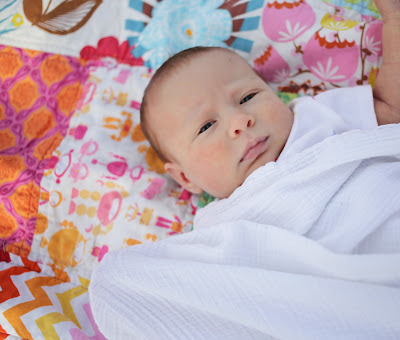 The black and white polka dot fabric I used for the coordinate is from Made Whimsy and can be found here. After my first version of this pattern, I realized that I did not really like the way the nursing access was provided in the pattern. 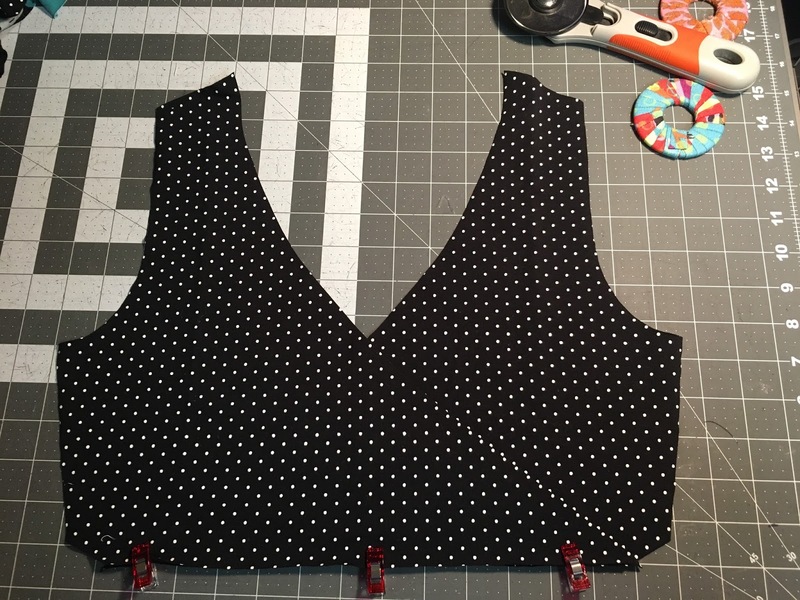 I changed the pattern to be a cross over under bodice, and this works so much better than the circle cut outs in the pattern. To make the cross over piece, I used the wrap part of the Made for Mermaids Mama Isabel front bodice and mashed it with the nursing bodice pattern of the Martha. The only part of the wrap bodice that I used was the neckline and triangle on the left of my photo. 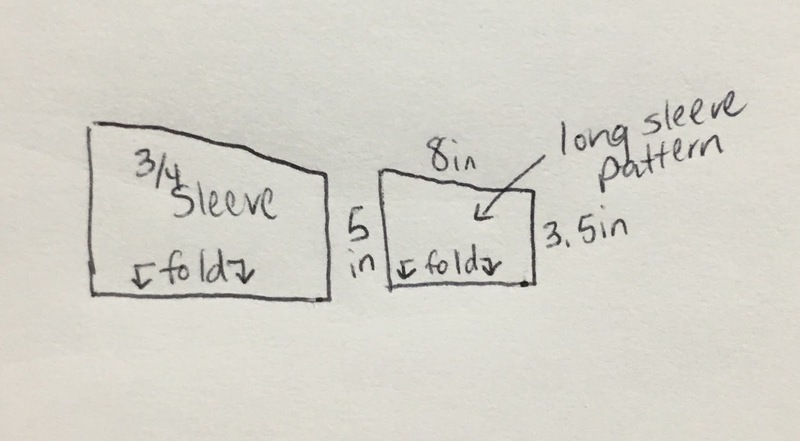 Also, having the under bodice the same length as the overlay means a wardrobe malfunction can easily happen if that under bodice droops down any. So, the next thing I did was take half an inch off the bottom of the nursing under bodice because I did not want the under bodice to peak out the bottom of the overlay. I cut mirror images of the fabric, layed them out like shown, and basted the bottom part together. Finally, I attached the wrap bodice to my front bottom piece. Then, I placed the overlay on top of the nursing bodice and attached the front pieces to the back at the shoulders, sewed up the sides, and attached my bands. It works perfect. And now, I do not have to worry about wardrobe malfunctions! I am loving these black polka dots. It is such a nice weight cotton lycra. (1) Sizing. 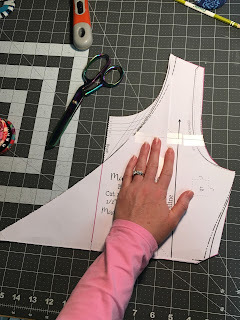 I had a hard time deciding on sizing because the pattern did not have a typical size chart with measurements. It suggested taking a well loved shirt and using that to help you decide. I ended up going with a straight 38 and really liked the fit. My current measurements are as follows: over bust - 32 inches; full bust - 35 after nursing and 36-37 before nursing; waist 28 inches, and hips - 37.5 inches. I used a stretchy cotton lycra for fabric so I would need to go up a size or two if I made a hoodie and used thicker, sweatshirt type fabric. (2) Bands. The pattern did not include pattern pieces or exact measurements for bands or for the long sleeve piece. The pattern recommends making the band under the nursing overlay the same measurement as the bottom of the nursing overlay. I did not believe that would work, so I made mine 2 inches less. My front bodice measured 16 inches underneath so I made the band underneath the front bodice 2.5 x 14 inches. The bottom of my shirt measured 40 inches when finished so I made the bottom band 6 x 35.5 inches. I made my neckband 20.5 x 1.75 inches (80% of neck opening plus seam allowance). 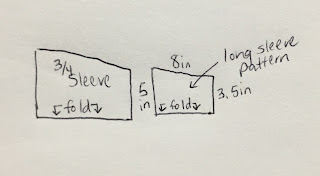 I drew my own pattern piece for the long sleeves. If you have longer arms, you may need to make yours more than 8 inches. Which top is your favorite? The floral or the fun polka dots and lions (they are friendly lions right?). Have you made the Martha yet? Which nursing pattern do I need to try next? Here is my sweet little nursling, Hannah! You can grab a copy of the Martha pattern here. It is a very intimidating because of all the translating required. Glad I encouraged you to pick it up again! I need to copy this nursing underlay. It is just the thing that I needed to consider for my own nursing tops for the future.